On 23rd November, five months on from the referendum on the United Kingdom’s European Union membership, SAGE will be publishing a webpage highlighting content from across SAGE’s journals and digital learning products that engages directly with Brexit or gives a background on the UK-EU relationship. The webpage will become a live resource and will be periodically updated with new content discussing issues relevant to Brexit. From January 2017 SAGE will be publishing The Sociological Review and The Sociological Review Monographs. 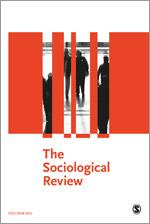 First launched in 1908, The Sociological Review has published leading social science articles for over 100 years. 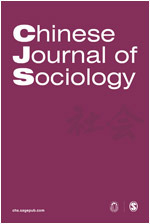 Chinese Sociological Dialogue (CSD), the official English-language journal of the Chinese Sociological Association (CSA) and Wuhan University, endeavors to stimulate an open dialogue between East and West -- and among scholars from multiple disciplines -- on wide-ranging sociological issues, providing a recognized academic platform for the exchange of innovative ideas. Read the call for papers. 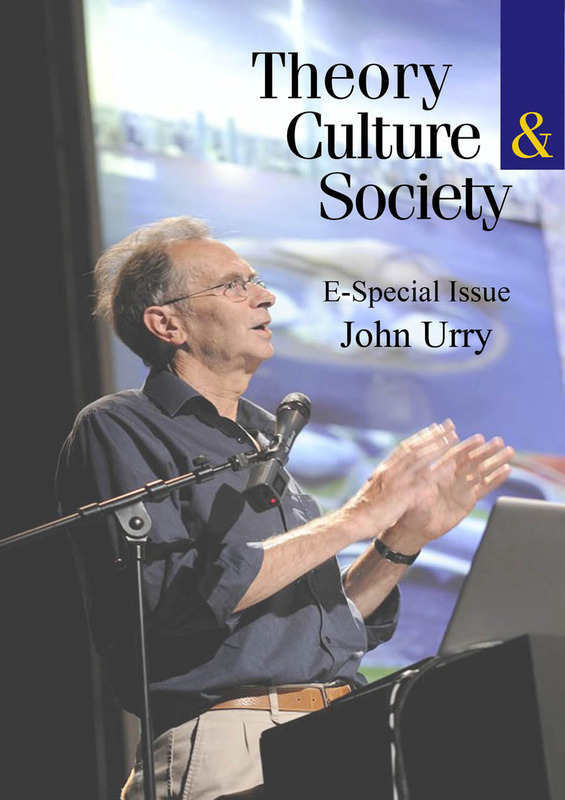 This e-special issue of Theory, Culture & Society presents key works published by the late British Sociologist John Urry (1946-2016) in the journals Theory, Culture & Society and Body & Society. It serves both to commemorate and to continue Urry’s profound contributions as a social theorist, as a network builder, and as a public intellectual who changed the face of British, and indeed global, social science. The latest issue of Race & Class leads with two very timely and politically-provoking articles on the international impact of securitisation. Chandra Russo (of Colgate University, US) explores, through the protests of the group Witness Against Torture, how solidarity with those detained at Guantánamo has been maintained on US streets and how the plight of detainees can be linked to that of Black communities in the US ‘interior’. Joschka Fröschner writes on the way that development aid (taking an example from Germany) is now, under the impacts of neoliberalism and the war on terror, being channelled towards border control in the name of reducing security risk. Unfolding emergence and re-animating the causal flow. 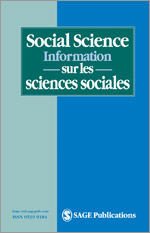 This special issue of Social Science Information (in itself both the product and the production of a certain emergence) is interested in exploring how different registers of activities actually unfold. It also examines how combinations of these activities, both distinctive and indissociable, contribute to the actual emergence of assorted modalities of contemporary existences. Watch the accompanying video. 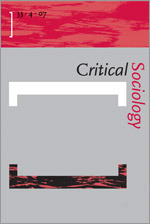 The latest issue of Critical Sociology, features a Symposium on Human Rights, exploring the limits to and implications of the pursuit of human rights politically, economically and socially. 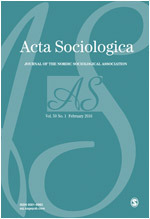 This is a unique special issue that marks both 50 volumes and 50 years of Sociology. 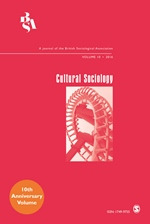 The content considers the developing story of sociology and charts how the practice of the discipline has ‘spun out’ beyond the dedicated departments that were once the centres of sociological practice, and discusses the implications of interdisciplinary connections. 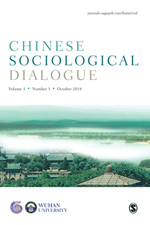 This new special issue in Intenational Sociology, guest edited by Daniel Goh and Peter van der Veer, studies the relationship between the sacred and the urban by focusing on urban religious aspirations in diverse globalizing Asian cities. Open Access journal Methodological Innovations has published a Special Section on Modelling Key Variables in Social Science Research. 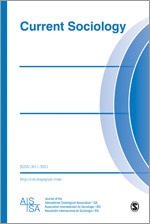 Taking Stock and Moving Forward: 25 Years of Emotional Intelligence Research. 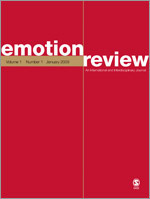 Read the introduction to the new special issue from Emotion Review which considers the state of the field and provides suggestions for further advances. Socius: Sociological Research for a Dynamic World invites papers for a special issue on gender in the 2016 elections. We invite contributions on all topics relevant to gender and politics. Informative papers on trends or cross-national comparisons are welcome as long as they are framed in relation to the 2016 U.S. election. The deadline for manuscript submissions is January 15, 2017. 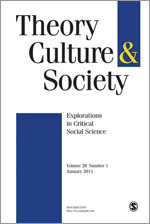 This special issue will critically examine how the relationship between migration and different dimensions of crisis has played out in the context of Europe over the last ten years. The editors are interested to explore how migration has been differently affected by, and has responded to economic, social and political crises across Europe. Deadline for submissions is 13 March, 2017. 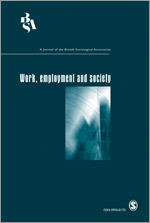 This special issue of Work, employment and society (WES) follows the thematic focus of the 2016 WES conference: 'Work in Crisis'. Contributions are invited to think critically not only about ‘precarity’, but also about the agency of those within precarious conditions and about how to move beyond them. Deadline for submissions is 1 March, 2017. 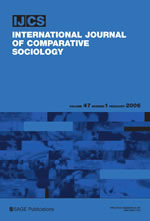 Submit your research to the International Journal of Comparative Sociology which encourages competing perspectives and dialogue from sociologists worldwide. The vast scientific information available in our digital society can be complex, confusing, and often conflicting – and leads to one meta-question: how do we foster public understanding of science? Two scholars investigate how the public learns about science and then chooses to trust it (or not) addressed that question in a free webinar sponsored by the journal Policy Insights from the Behavioral and Brain Sciences and its parent organization, the Federation of Associations in Behavioral & Brain Sciences (FABBS). 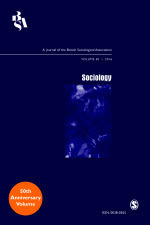 To celebrate the 50th anniversary of Sociology, past and present Editors held a session at the BSA Annual Conference 2016 reflecting on their experiences and the history of the journal, and discussing where the journal might go in the future. The peer review process lies at the heart of academic activity – playing a key role in the evaluation and dissemination of research findings. Learning how to review is therefore an important elements of being an academic. Work, employment, and society (WES) Editors, Andy Danford and Vanessa Beck explore the process of peer reviewing articles submitted for publication in journals. This was filmed at the 2016 BSA Annual Conference in Birmingham. Welcome to SAGE Sociology News. 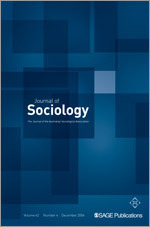 Read on to discover impactful research from the leading journals in Sociology, including new special issues and noteworthy articles. Don’t forget to keep up-to-date with the latest calls for papers and submit your manuscript to our journals! 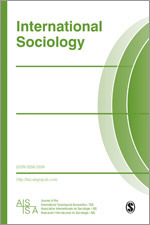 Follow @SAGEsociology for the latest research and industry news.